This is g682 vanity top size 72"x23"x3/4" with on counter rough sink cut out and bullnose front edges. 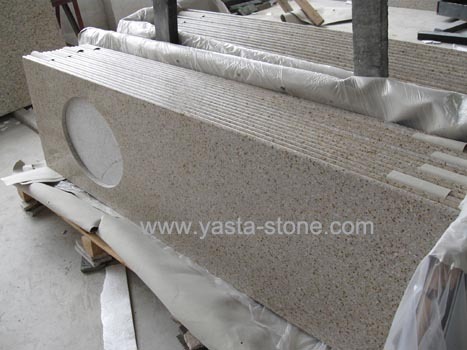 G682 is one of the most popular and cheapest yellow rust granite color. This is color is widely used for fabricating countertop, vanity top, tiles, wall cladding, paving stone, mushroom wall tile, cube, column, stairs, steps.